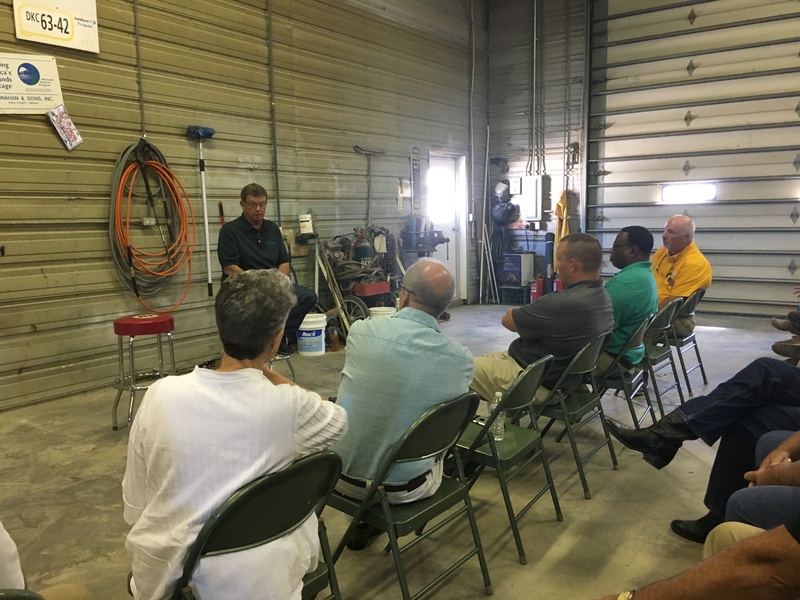 Special meeting | Carnahan & Sons, Inc.
Last week I received a call from Steve Brown, the State Executive Director for the Farm Service Agency in Indiana. He called to report that the head of the Risk Management Agency (RMA) of USDA, Martin Barbre, was coming to Indiana… and he was looking for a Knox County farm to host a visit. We gladly accepted his request. I invited a few neighbor-farmers, as well as our crop insurance agent and our banker to be in attendance. Today that event took place in our shop. 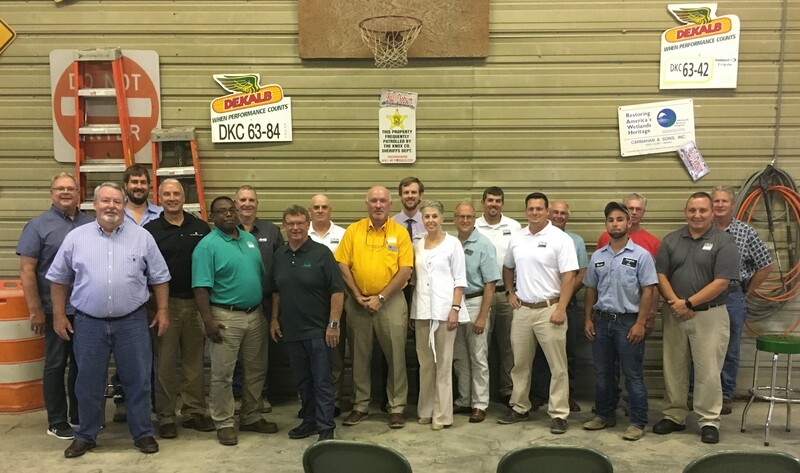 It was a pleasant time, with a few other state and local USDA officials also in attendance. Mr. Barbre, a farmer from southern Illinois, filled us in on what it was like to move into such an administrative position in Washington, DC. He also took our questions about such things as World Trade Organization (WTO), the current trade standoff and its effect on grain markets, and Waters of the US (WOTUS). He gave us reassurances that there would likely be some support given to grain farmers who are impacted by current trade tariff policies. He indicated that it is his impression that such assistance would come from Commodity Credit Corporation (CCC), and not through RMA. He also was fairly frank in declaring that the upcoming Farm Bill would continue strong Federal support for crop insurance. After the Q&A, the group assembled for a photo. Mr Barbre in in the navy shirt in the front row, and Mr. Brown is in the yellow shirt next to him. Local FSA Administrator, Diane Mason, stands next to Mr. Brown. The whole thing took about an hour, and it was a comfortable meeting, both in terms of the temperature in our shop, and in the amicable discourse among those attending. I believe it is a good thing to have in these types of positions individuals who have actual experience dealing with the unpredictable nature of farming, and personal, on-farm and real-world interaction with USDA’s RMA system. It was a pleasure to meet Mr. Brown and Mr. Barbre and have some interaction with them. I’m glad the RMA Administrator chose southern Indiana for his initial travel experience in his position. If he travels to an area near you, I think you would also appreciate getting to know him. This entry was posted in Family Life, Farm Days and tagged CCC, FSA, RMA, USDA. Bookmark the permalink.